Famed New York Yankees catcher and MVP Yogi Berra has died at age 90, according to the Yogi Berra Museum, who tweeted the news Tuesday night. Lawrence Peter Berra, better known by his nickname "Yogi," was synonymous with the Yankees mid-20th century and played a leading role in securing 10 World Series championships across 25 years for the team, making him the player with the most championship rings in baseball history. Berra is widely considered among the greatest catchers of all time. 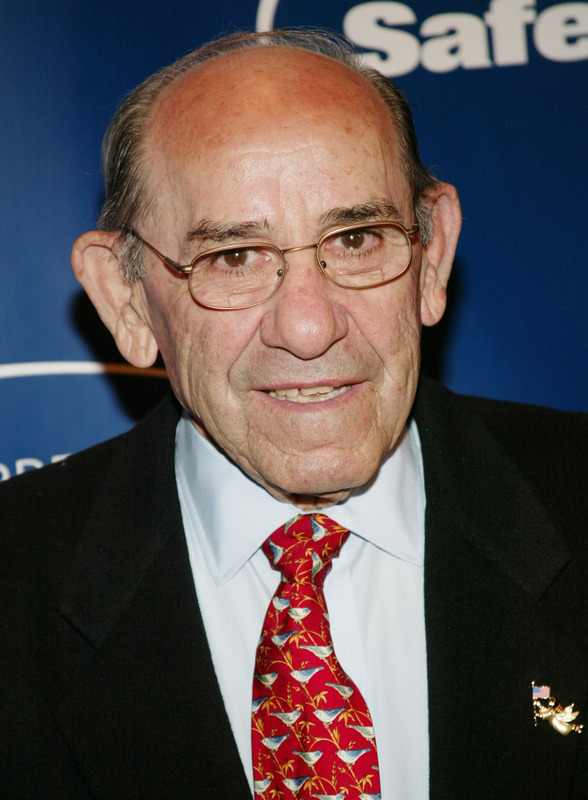 "It is with heavy hearts that we share the news that Yogi Berra passed away Tuesday night at the age of 90. #YogiBerra," his foundation tweeted Tuesday. Nearly all of Berra's 19-year baseball career was in pinstripes (he played his final year for the crosstown rival Mets). While a Yankee, Berra was an All-Star for 15 seasons and one of just four players in history to be named as American League MVP three times. Berra shared the dugout with the likes of Mickey Mantle and Joe DiMaggio and yet continued to lead the team in RBIs for seven seasons from 1949-1955. He was voted into the Baseball Hall of Fame in 1972, the same year the Yankees retired his No. 8 jersey. After retiring in 1965, Berra would go on to become a coach for both the Yankees and Mets. As a coach and later manager, he would add another three championships to his resume. He is one of six managers in baseball history to take both a N.L. and A.L. team to the World Series. Berra was long a beloved figure in Yankees lore, but things turned south in the 1980s after Yankees owner George Steinbrenner fired him as team manager just after the start of the 1985 season. The Yankees saw a poor 6-10 start, and though Berra had taken the team to an 87-75 record the previous year, it wasn't enough. Berra famously vowed to never step foot in the stadium that was once his home so long as Steinbrenner was in charge. After 14 long years, a truce was finally called in 1999. Not only was Berra known for his unbelievable ability to whack a bad pitch — the man could hit anything — but his famous "Yogi-isms" have endured history. People seem to forget that Berra was the one who coined "it ain't over 'til it's over," and for the legend that was Berra, it never will be.